Scott is the Director of Residence Life. Denise is a Research Assistant with the Montana Bureau of Mines and Geology. Frances Holmes has worked at the Montana Tech Library in the Public Services Department since 2003 and has been Circulation Department Supervisor and Head of Interlibrary Loan Services since 2008. The Library serves all students, faculty and staff, supporting academic research and providing resources for a successful academic experience. Frances strives to make the library a welcoming and friendly environment where students find resources to support their studies, meet with study groups, and just hang-out. As a staff senator, Frances’s goal is to be a part of the team that encourages the Montana Tech staff and recognizes and their commitment to the campus and students as they work their way through the academic experience to a successful graduation. Marcia is an employee of the Montana Tech Library. Debbie has been working at Montana Tech since May of 2005 after earning her second Bachelor’s degree from Montana Tech in Biological Sciences. For the first three years she worked as a full time research assistant for Tech professors Don and Andrea Stierle performing many of the bioassays for the lab as well as maintaining the lab’s numerous microbial cultures. Then in May of 2008 she began working as an academic recruiter for Montana Tech and is now in her 11th year as a recruiter/admissions representative. During that time, she has worked with all groups of students, but in recent years has worked primarily with international students and transfer students, helping them learn about Montana Tech and our admissions process. As a Staff Senator she hopes to help the campus realize the important role staff plays in creating a positive student experience and the students’ overall perceptions about Montana Tech. As a Staff Senator she also looks forward to finding ways to help make sure the staff feels appreciated for their efforts and welcomes input from any staff members. Peggy McCoy graduated from Montana Tech in 1999 with a bachelor degree in Society and Technology/Communications. She began working at Montana Tech in 2002 as an Enrollment Representative recruiting high school students in Montana and across the Northwest United States. In 2004, she accepted the position of Director of Alumni Affairs and Executive Director of the Montana Tech Alumni Association (MTAA). As Director she works closely with the MTAA, college departments and the Montana Tech Foundation to continue the affinity Montana Tech graduates have to their alma matre. Peggy is grateful for the opportunity to get to know students throughout their college career and continue to watch them grow in their professional careers. Marilyn is an Administrative Associate at Highlands College of MT Tech. Kathy Stevens started working full-time as Distance Learning Coordinator at Montana Tech in September 2008. This newly created position provided an additional way to support distance learning here at Montana Tech. 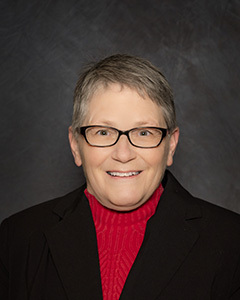 Kathy can be seen running around the campus providing support for technology in the classroom, making video connections, setting up web conferencing and recording capabilities, and helping with anything in the online environment. Along with improving distance learning and teaching, Kathy has a passion to help Montana Tech achieve its high standards for quality education and accessibility for all. Casey Vanatta has been working at Montana Tech in the Campus Technology Services, Information Services Department since October of 2004. Campus Technology Services is comprised of three separate departments, Information Services, Network Services and Telephone Services. Information Services is responsible for maintaining & managing several systems, including Banner, Nolij, CAS, MyMtech and Moodle. She serves as Supervisor to Montana Tech’s Campus Technology Services Help Desk. Casey enjoys her job at Montana Tech and those she gets to work with on a daily basis. As a staff senator, she is hoping to see working relationships grow and to help provide an outlet for others to voice their concerns, opinions and/or overall appreciation of each other. Niki is an Admissions Evaluator for Enrollment Services, located at the South Campus, Highlands College. She really enjoys working for Montana Tech. It has been a pleasure getting to know staff, faculty, and students. She has met so many wonderful people in her time here and is excited to be a part of staff senate!